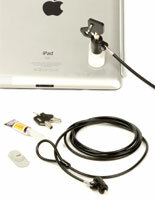 This iPad lock system is simple to use and yet very effective in preventing theft of valuable electronics. 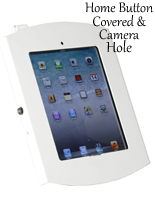 Many electronic devices (eg, laptops, tablets, digital picture frames, iPad holder systems, computers) come with built-in slots to utilize this type of protection. 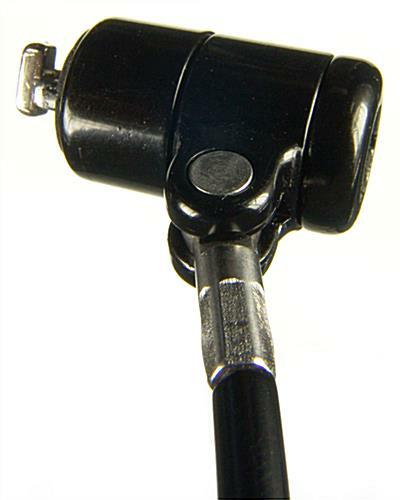 The versatile lock system consists of a rubber-coated wire cable with a loop at one end and a key-locking mechanism on the other. 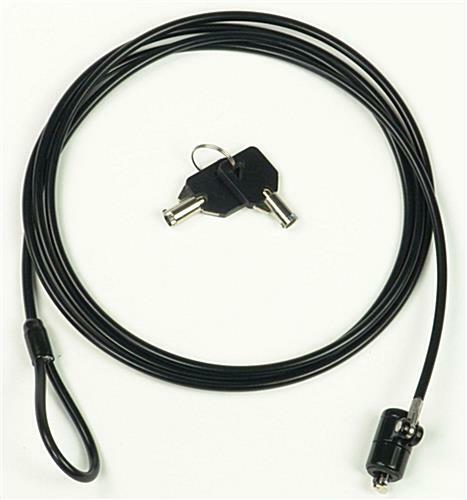 Securing electronic devices is a simple matter of looping the cord around a fixed object and inserting the locking end into the slot. Each electronics lock system comes with 2 keys for convenience and access control. 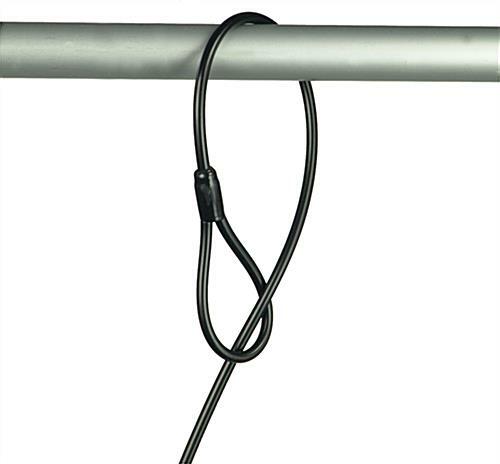 The 6-foot theft-resistant wire is wrapped with rubber to protect electronic devices and mounting locations. 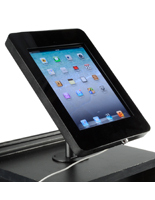 This system is ideal for commercial, professional, and facility use as well as personal or residential use. 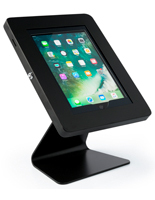 The simple design and light weight make this loss prevention accessory a great choice for conventions, lobby displays, and trade show booths.